Today LG announced its LG Gram 2017 edition laptops at CES. LG Gram laptop 13.3” and 14.0” models weigh only 940 grams and 970 grams respectively. Meanwhile, 15.6” screen model weighs only 1,090 grams (2.4 pounds). The LG Gram features a super slim bezel with the edgeless touchscreen display. The main feature of LG Gram laptops is its 60W battery, the highest capacity in the industry to-date with up to 21 hours of battery life. The laptops will also include Backlit keyboard and a built-in fingerprint reader. LG Gram is powered by 7th generation Intel Core i7 processors with up to 512GB SSD and max 16GB DDR4 Dual Channel Memory. The LG’s new 15.6″ laptop model includes Thunderbolt port, as well as additional USB Type-C ports which allow simultaneous video signal, data transfer, and charging via a single cable. The laptop will come with Windows 10 pre-installed. 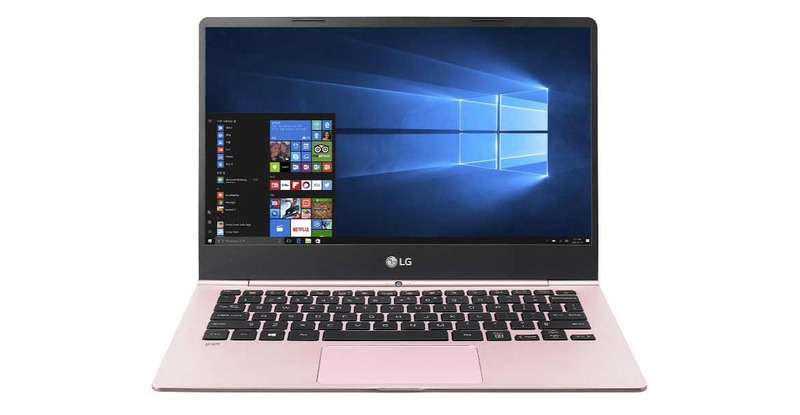 The LG’s new laptops are available in three premium metallic colors, dark silver, shiny white and metal rose. Pricing and availability are not yet announced by the company.